The way Andre Berto describes his experience fighting Floyd Mayweather, it almost seems like Mayweather took the bout while in The Matrix. 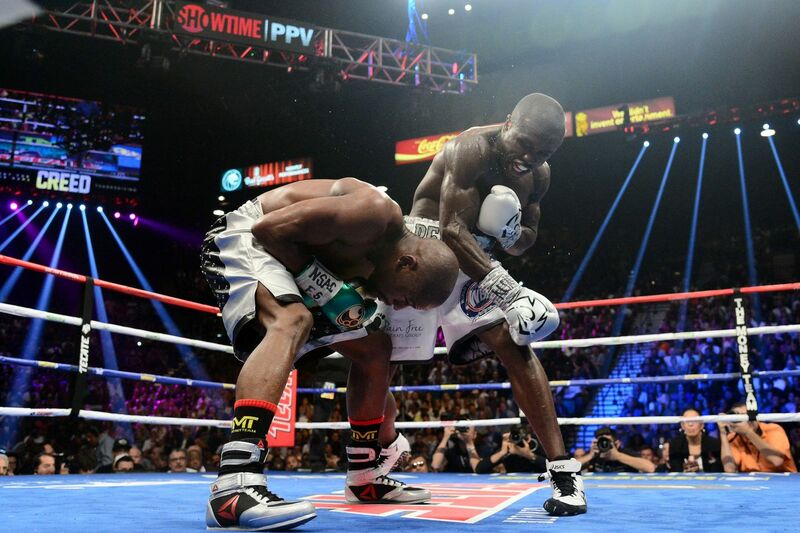 Mayweather’s last fight was against Berto, a unanimous decision victory for “Money May” in September 2015. Berto said he noticed Mayweather taking in everything, from the clock multiple times during a round, to every position and angle, to the position of Berto’s hands, to the referee, to looking at Berto while he was in the corner in between rounds to see if he was taking deep breaths. These are some of the things Conor McGregor will have to deal with Aug. 26 when he steps into the ring against Mayweather at T-Mobile Arena in Las Vegas. Berto said he believes McGregor has a chance to win, especially if he can catch Mayweather with a big shot early. But if it doesn’t happen early, Berto said, it could be a “bad night” for the UFC lightweight champion. “I believe at the beginning he had a lot of difficulties when it comes to southpaws,” Berto said of Mayweather. … “But within the last few years, he’s really dialed in. Of course, Mayweather will be a formidable opponent. He’s 49-0 and one of the best boxers of all time. McGregor, who has no pro boxing experience, is a sizable underdog. That doesn’t necessarily mean he has no chance, Berto said, but there are definitely scenarios that will favor Mayweather, who is perhaps the best defensive boxer of all time. Berto said he can recall throwing punches, Mayweather slipping them and then seeing Mayweather watching them as he finishes the missed strikes. While McGregor has a path to victory, which includes catching Mayweather with something surprising early, Berto warns that Mayweather has an innate ability to dictate the style and speed of every bout. Berto said he made a mistake in having a very intense training camp for Mayweather, only for “Money” to almost lull him to sleep with his patience and poise.